The most effective leaders are those who possess vision and the engagement skills to bring that vision to fruition. This means getting the key players to play on your team. It means communicating your value propositions to everyone in your circle. It means communicating effectively to create momentum and keep that momentum going. When there are gaps in leadership communication, the whole organization suffers. That’s why it’s vital to hone in on communication tactics that foster collaboration, innovation and growth. Below are five communication tips to boost leadership efforts. For the most part, leaders have a budding dissatisfaction with the state of things. They’re constantly re-envisioning processes to improve them. Whether you’re establishing more intimate customer engagements or using technology to create more agile methods, execute your communication strategy with frequent touch points, showing your people that you’re nothing if not consistent, and you’re there for them. For clients, leverage your relationship as one with mutually beneficial prerogatives. Remember to listen respectfully and challenge appropriately. This creates a strong sense of win-win. It’s about how you communicate that vision. If you were to ask your team what your company stands for, would they know? A good leader helps the business prioritize and articulate the message customers and coworkers need to hear. Although you’re always refining processes, the message of your organization should remain consistent. That means you can’t take the backseat and spectate. You must participate. Leaders are influencers. They create the forecast that determines whether the crops will grow. The more consistent you are with communicating your vision the more it will come to life. It may seem like common sense, but if you choose the right people to be on your team, collaboration should come naturally. When the people in your corner understand your core values, you don’t have to sweat the little things – they just work. Take the time to ensure customers and team members understand your goals, so communication is not only functional but feels somewhat effortless. Failure is not always a bad thing. In fact, most of the time it’s a positive gateway toward more sustainable solutions. As a leader, you want to identify failures and understand their root cause – and fast. As you refine the process, you want to remove the problem completely. The key to leadership is learning how to fail fast, then recover fully. Nowadays, technology can support just about any communication initiative, whether that means implementing UCaaS or cloud solutions. Even if your workforce is remote or states away in another office, there are literally hundreds of technology tools that can be leveraged to broker collaboration and bring your people together. Remember that good communication is a leadership challenge, not a technology challenge. 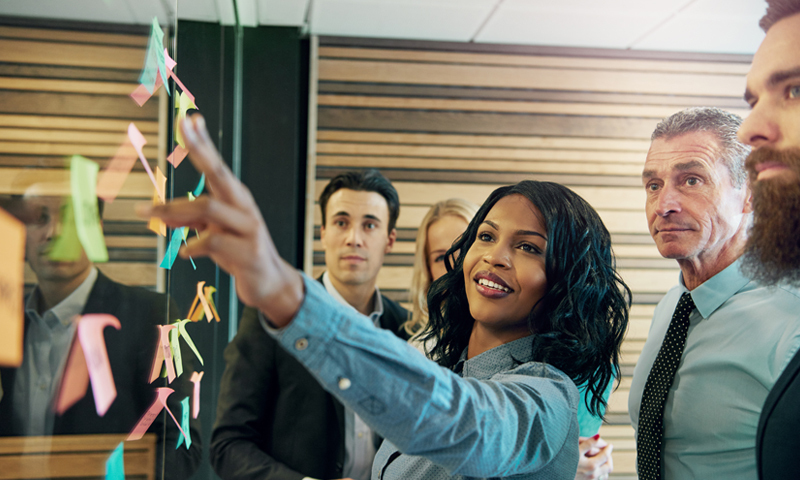 Taking a closer look at how your communication efforts impacts your business could be the “a-ha!” that unleashes increased understanding, satisfaction and productivity within your organization. With these five communication tactics, you display your company’s core values with increased accuracy, ease and grit. To explore more leadership insight from Select Communications, explore CEO Jerry Goldman’s article on the difference between management and leadership.